In search of the best safari jacket? 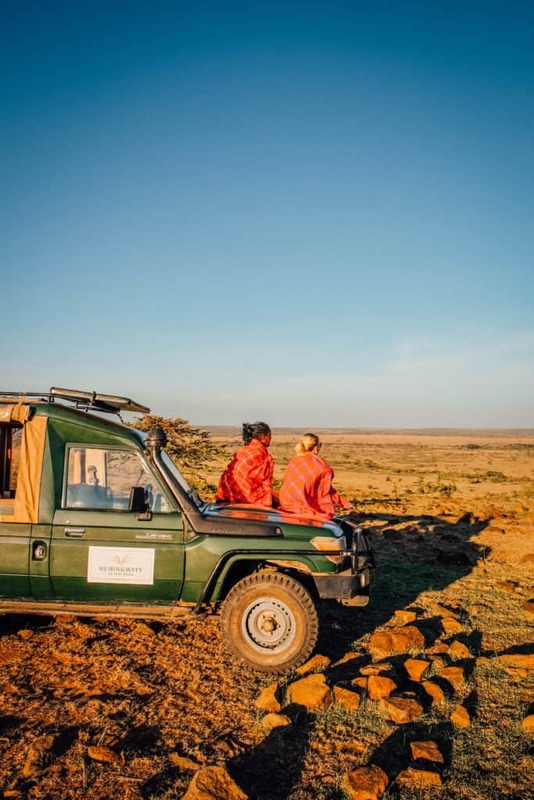 We’ve been on a countless number of safaris and visited lodges all over the African continent from South Africa to Kenya and literally everywhere in between. On our first trip, we showed up with a hodgepodge of clothes that were not suited for the bush and had all the wrong colors. A good safari jacket should be bought with activity in mind. If you’ll be doing bush walks while on your safari, a lightweight safari jacket will be much more practical than a heavy duty one. However if you are traveling at high elevation or during Africa’s winter months when nights get cool, consider a decently warm jacket. It’s also important to purchase a safari jacket with a few pockets so that you can stash your goodies. 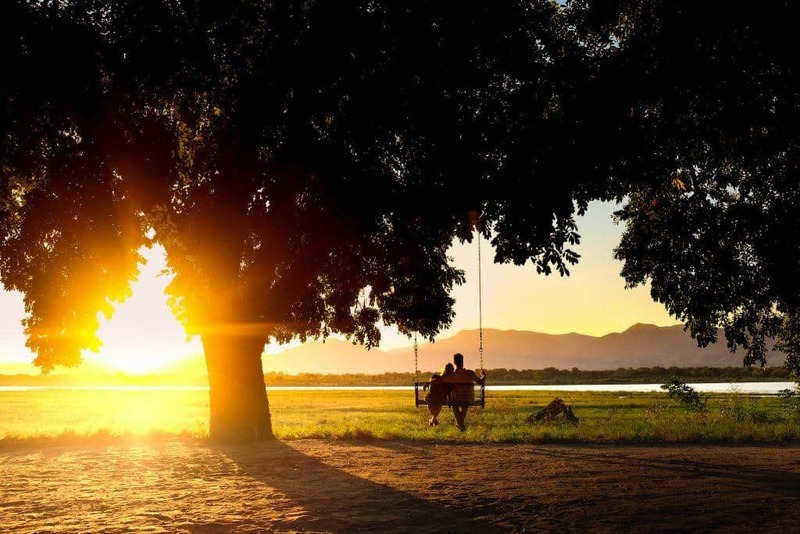 Whatever you pack in your safari bag you should bear in mind the location, time of year, and activity level. Keep in mind that you really only need one good safari jacket in your luggage, and hopefully this list will help you narrow down your choices. This safari jacket is made from a quick-drying woven fabric that has built-in pockets for holding your ID, chapstick, safari binoculars and anything else you need on safari. The jacket is made out of polyester/spandex and offers a decent amount of stretch. I also love the UPF50+ sun protection as we all know the African sun can be brutal! The fashionable ladies will love the waist drawcord for a great fit and convertible roll up sleeves. This jacket isn’t just stylish for safari, but great for all-around wear in town! This is a jean style jacket also made by TravelSmith, but a completely different style. 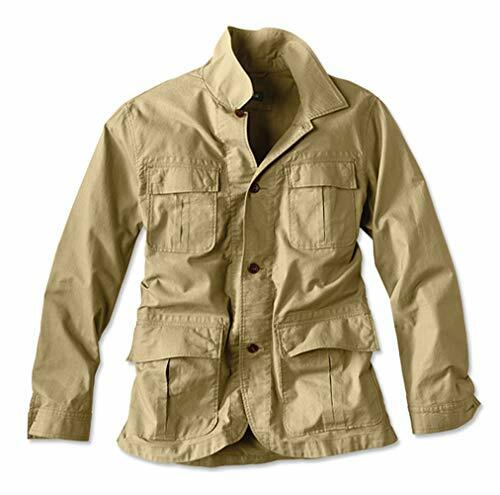 Made out of breathable, machine washable 100% linen it’s a pretty good jacket to have on safari for women. The only thing it lacks are durable pockets that can actually hold all your valuables. 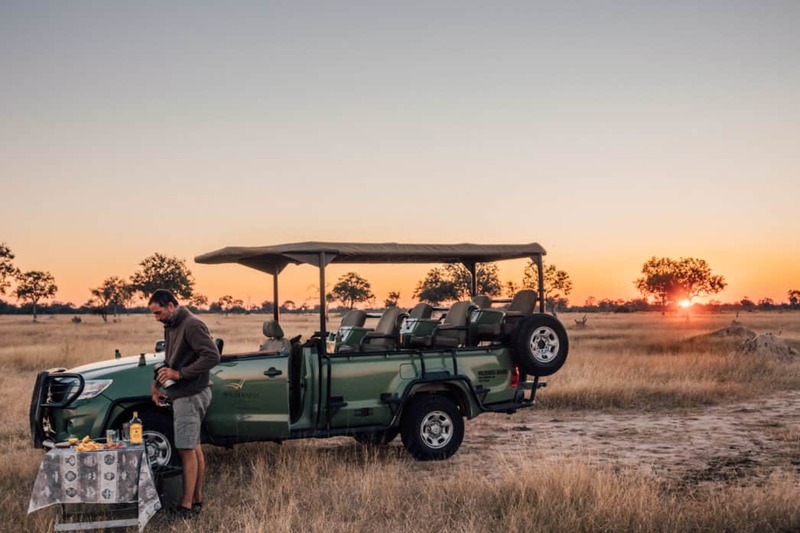 However, if you don’t need much with you in the game drive vehicle this may be a good option for you. Not one, not two, but 15 fricken pockets on one safari jacket. 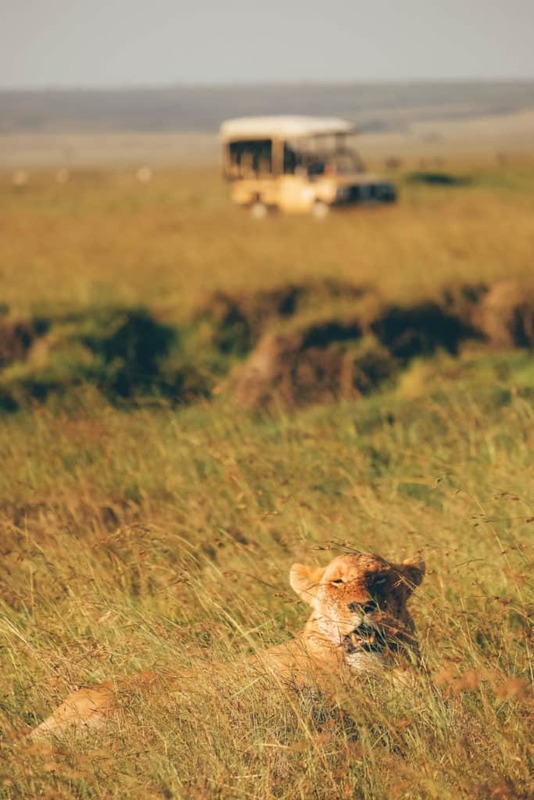 So you will for sure find places to store your safari binoculars, safari camera lenses, chapstick, sunglasses and anything else you need on safari. This is one of the highest rated products on TravelSmith and it’s lightweight, and quick drying. It provides UPF40+ sun protection against the African sun made out of nylon shell and polyester lining. 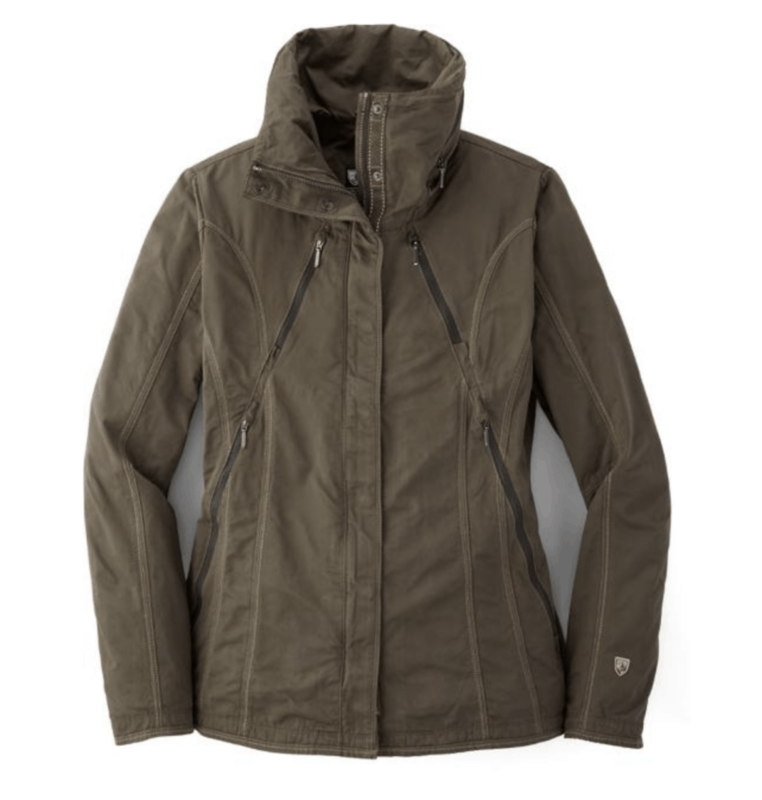 This is definitely one of the best womens safari jackets for Africa, it comes in a plethora of colors so if you’re looking for that perfect khaki safari jacket I would go with the voyager. This is a great canvas safari jacket for women. It’s an environmentally friendly jacket made out of G-1000 Eco fabric and finished with a Greenland wax to protect against wind and water. The jacket has a packable hood in case it starts raining or you are cold, making it a great all around outdoor jacket. The cinched waist keeps it stylish and able to be fitten to all women’s body types. I love how many pockets this jacket has. Perfect for storage which is so helpful when traveling around Africa or on safari! 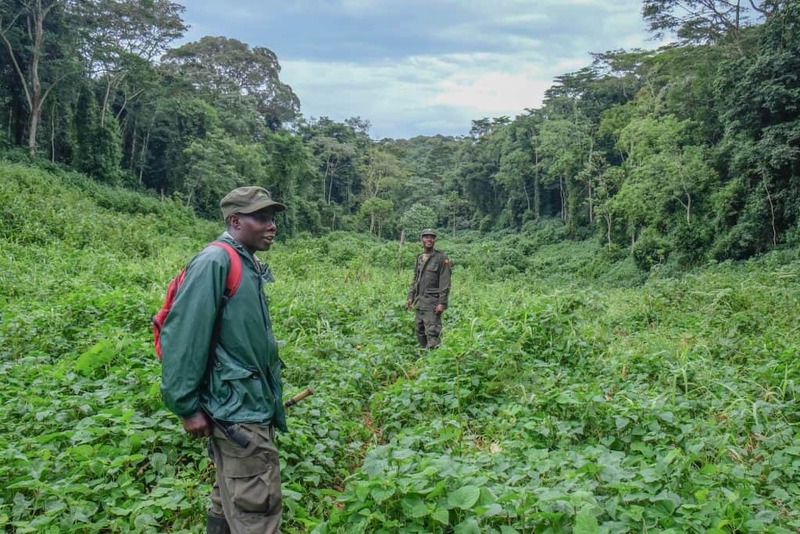 The Orvis Panama jacket is a great safari bush jacket for men. This jacket is modeled after a combat uniform from 1963 so if you want to feel like you’re on an old time safari in colonial Africa this is the jacket for you. The fabric is exactingly replicated from the original 1963 specs only with added comfort. This jacket is tropical weight, rugged, and breathable Japanese Panama Cloth. Honestly, it’s perfect for bush photos to show to your friends when you get back home from your trip. This jacket is ready for anything Africa can throw at it! 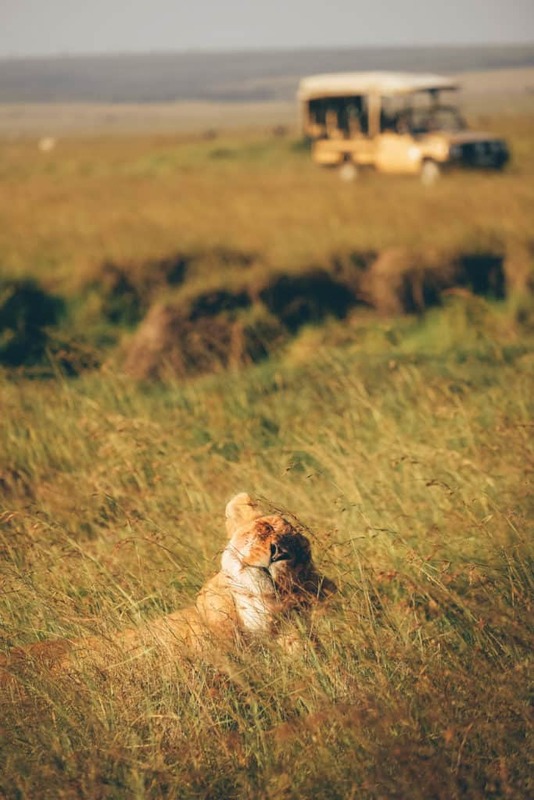 Safari? Fishing? Camping? Hiking? You name it is there for you. The Kuhl Burr Jacket is built out of microfleece lined cotton canvas on the outside and on the inside is just as comfortable. This jacket has multiple cippzers included one on the inside for passports and a phone. Fjallraven is another brand that I absolutely love! They make quality products that will last for years and years. The Raven jacket just looks like it was made for safari – doesn’t it!? It’s stylish enough for any safari photo you’ll be in, but will also look great on the trails back home. It’s made out og G-1000 eco fabric that is made to repel light rain and resist wind should you be traveling Africa in the rainy season. It has plenty of pockets and even a roll and stow collar. 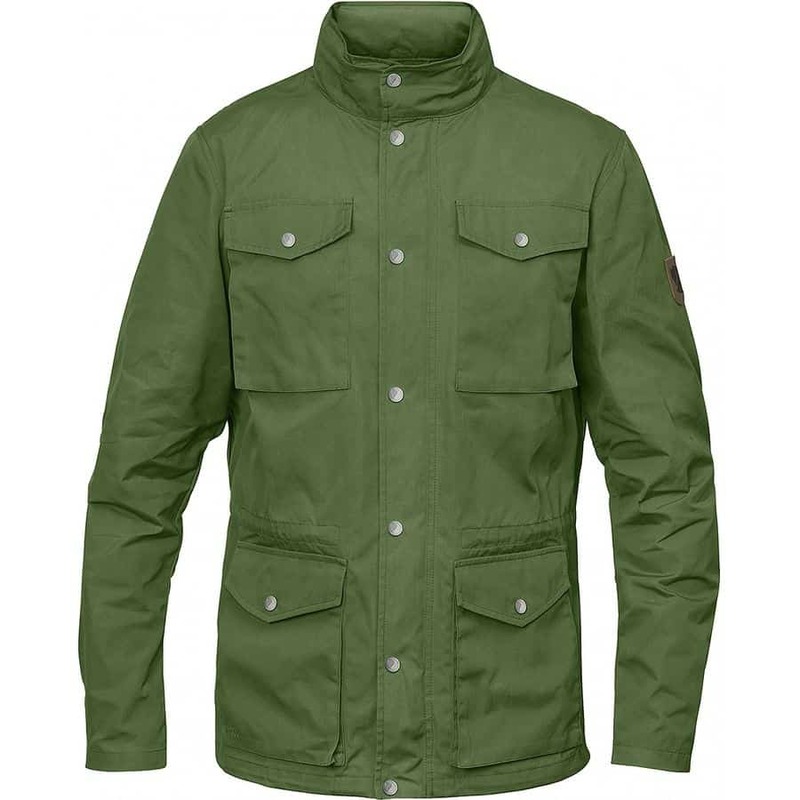 This is a great lightweight safari jacket option for men made of soft lightweight organic cotton and hemp. 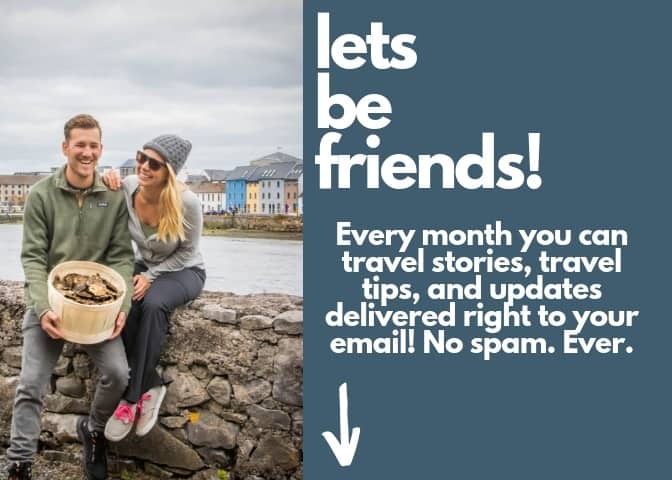 This would be a great option if you are traveling to Africa in the dry season and it’s not going to get super cold at night. Although this product is technically a jacjet, it could also be doubled as a safari shirt as well. This jacket also has a drawcord bottom and elasticized cuffs to keep the wind out. 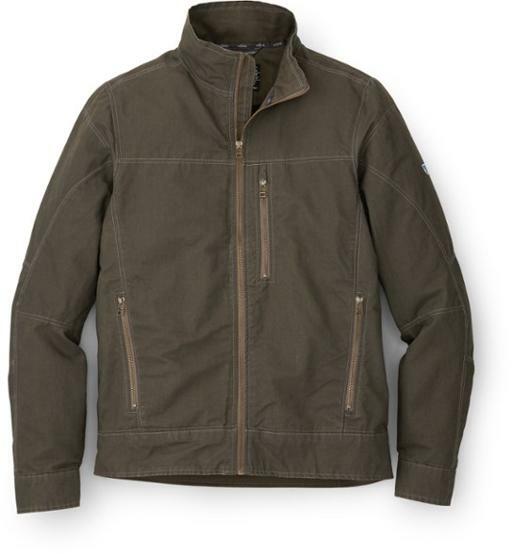 As mentioned above, I absolutely love Kuhl products and the Kuhl Kollusion jacket is why. It’s rugged and made for safari or just everyday wear around the world. It’s stylish yet durable. This jacket has a rollaway hood, and is waxed with PU coated fabric incase it rains or snows. The jacket has numerous pockets to stash your hands for warmth or other items you’ll have in Africa. Manmade materials such a nylon or polyester are other great options as they are excellent at moisture management and proaction. The only material we’re not massive fans of is cotton, but it’s often the softest and warmest material while with great value. I always read the tags and materials on outdoor apparel before I make a purchase and consider it’s intended purpose. 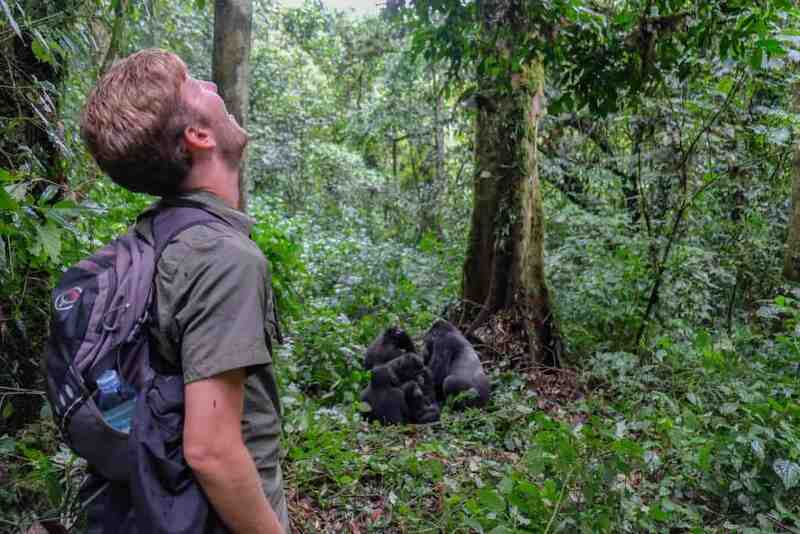 For example, when gorilla trekking it advised to wear long pants and greens. When on foot it is always advised to wear colors that blend well into the environment and have a good pair of safari boots. Keep it relaxed. Even at five star lodges in Africa, things are still casual.